Myrtle Beach, South Carolina is your dream home waiting to happen. Myrtle Beach is a coastal city in Horry County, South Carolina, situated on the center of a large and continuous bay known as the Grand Strand. Located along 60 miles of wide, soft sandy beaches, Myrtle Beach is year-round southern living at its best! Although Myrtle Beach is one of the major centers of tourism in the United States because of its warm, subtropical climate and extensive beaches, it's much more than a summer beach community. It's true, Myrtle Beach attracts 14 million visitors each year. But, Myrtle Beach is also home to more than 350,000 permanent residents. Whether you are looking for sunny, temperate weather, investment property, or a primary residence, Myrtle Beach has the real estate and the life style you are dreaming of. Myrtle Beach offers affordable housing close to public beaches, world-class entertainment, live theaters, exciting nightlife, water sports, golf courses, cultural activities, historic sites, shopping, fishing, safe communities, and excellent schools. You have come to the right place! Purchase your next home in sunny Myrtle Beach, South Carolina, and be on vacation year-round! RE/MAX Southern Shores real estate agents can find exactly the kind of property you are looking for in Myrtle Beach, SC. Call RE/MAX Southern Shores today at 843-249-5555 to begin your home ownership search. The city is nestled along the beautiful beaches of the Atlantic Ocean is a friendly community with an affordable cost of living and homes of every description in every imaginable price range. It’s no wonder thousands of people call RE/MAX Southern Shores at 843-249-5555 and then make Myrtle Beach their home! 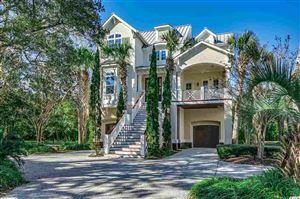 With hundreds of communities in Myrtle Beach, it is critical that you have an expert real estate agent who knows the market and the neighborhoods along the Grand Strand. RE/MAX Southern Shores real estate agents can find exactly the kind of property you are looking for in Myrtle Beach, SC. Call RE/MAX Southern Shores today at 843-249-5555 to begin your home ownership search. Enjoy the video that the Smithsonian Channel created.